Happy weekend, y’all!! It is Saturday night, which usually means date night for the Rosefam! (#rosefam) We had a super casual one tonight at Kickingbird Cinemas! Ben has two degrees in history, so he was SUPER excited about Dunkirk! It ended up being a well done and powerful movie, though I don’t think war movies will ever truly be my jam. So, what does one wear to a casual summer movie date? It was in the 90s outside, but movie theaters are always so chilly! 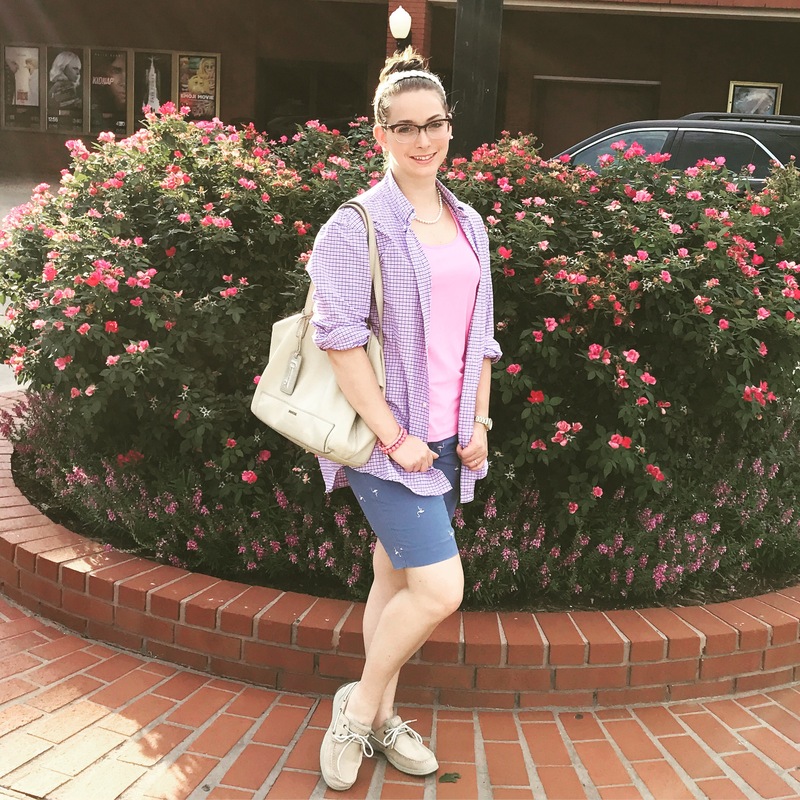 I had a nice pair of shorts and a top, so I went for the “boyfriend” trend and added my hubby’s flannel! The colors matched perfectly, and I was comfy for the whole movie! This is probably the most casual look y’all will ever see unless I do a workout post!! When I do a boyfriend type look, I like to make the other stuff super feminine and cute, so I added pink and pearls to glam it up a bit! It is a fun juxtaposition! Plus, Ben thinks it is super cute when I wear something of his! I hope those of you who date had wonderful date nights this weekend! If not, I hope it has been filled with happiness no matter what! See you next time!